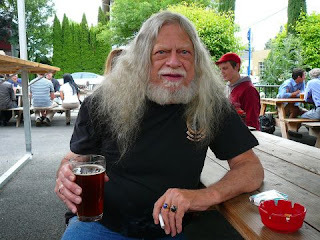 Most who stop by here know the craft beer industry as it exists today was largely built on the connection between local communities and good beer. As Don Younger famously quipped when talking about why we love Oregon beer, "It's not just because the beer is good; it's because it's ours." In fact, interest in local beer is apparently growing, particularly among the Millennial demographic. Nielsen stats included in an article written by a friend of mine, Jason Notte, suggest Millennials (21-34) are more likely (53 to 45 percent) to prefer local beer than the demographic that includes all legal aged drinkers (read that older drinkers). Don't read too much into those numbers. They're about what we should expect. Because folks over 40 are typically less engaged in the sort of fad-driven scenes that kids live for. Craft beer is part of that and something older folks don't care as much about. So these numbers aren't really so surprising. Still, the Millennial interest in local beer is great for the 3,400 operating breweries who have a dedicated clientele. According to Notte's article, 75 percent of drinking aged Americans now live within 10 miles of a brewery. With 2,000 additional breweries on the way, you have to wonder when the number will be 5 miles. Or less. That's pretty wild considering where we were 30 years ago. First, there's the growing number of small breweries and brewpubs. The more of these we have, the more they compete for the same customers, which means they eventually look outside their own areas for business. Keep in mind that these are relatively low profit ventures. If you own a brewpub, your path to fame and fortune is through scale and expanded reach. Second, there are the large brewers, who are expanding market share by building breweries far from their home markets. Sierra Nevada, New Belgium, and Widmer are among those who have already done this. More soon will. Because they're aware of the local preference, these brewers strive to produce beers that appear to be local wherever they are. Thus morphing the definition of local. The contradiction is clear: Despite the fact that beer fans apparently prefer locally made beer, industry trends mean craft beer is becoming less local. What this means going forward is unclear. Getting back to the opening, it's fair to wonder what Don Younger would think about this. As I've said here before, I never met Don. My guess is he'd be ecstatic about the growth craft beer has seen in recent years. And troubled by what's happening to the concept of local production. Just a guess.